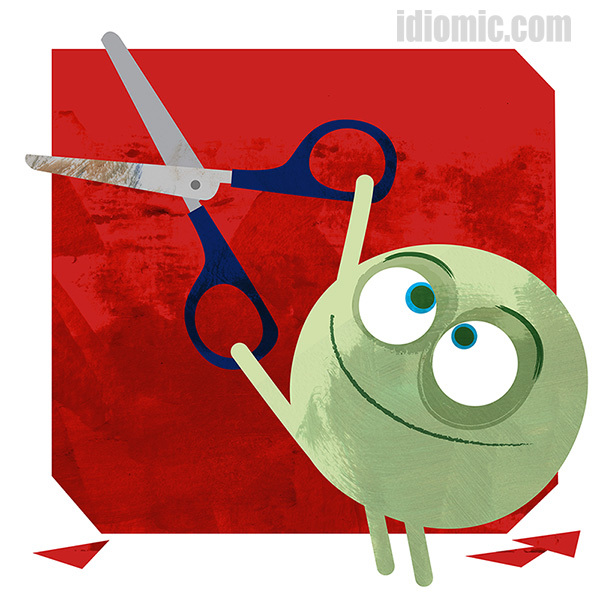 'Cutting Corners' on Idiomic.com: definition, example, and origin. Example: When the wheels came off Greg’s bike at high speed, he immediately regretted cutting corners when he’d repaired it. Cutting corners originated in the physical act of going from A to B by the shortest possible route. There are multiple examples from the 1800s. Walking via an untried shortcut was cutting corners. Fox hunting parties on horseback not following the dog pack directly to catch them up were cutting corners. The expression also extended to carriages taking a corner too sharply so that the wheels mounted the curb. All of these situations had a common element of risk. A shortcut on foot might be dangerous. Horses might fall on unseen obstacles that the dog pack did not encounter on their own route. A carriage might break a wheel or axle, or even overturn. Incidentally, the act of cutting corners spawned another phrase, one typically used across North America: kitty corner. It describes the relative location of something usually a building, being on the diagonally opposite corner of an intersection of streets. As cute as the term is, using it in conversation in the UK will get you a blank, uncomprehending stare. But how the heck did this cute term come to be? Well, in older English usage, to cater was the act of going across, especially diagonally. The phrase cater corner came out of this. Over time, it morphed into catty corner, and eventually to the modern phrase kitty corner.